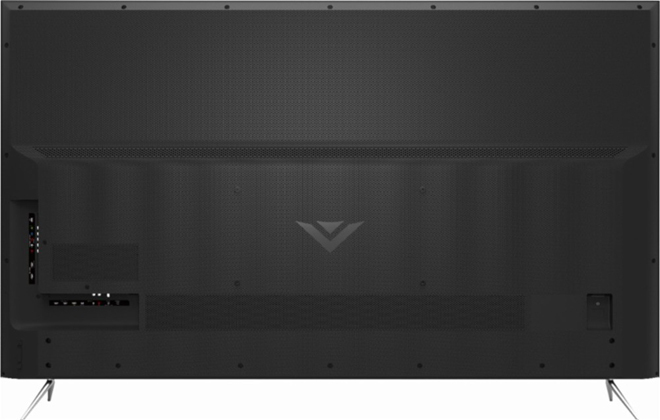 Overview -- Packed with impressive bang-for-your buck performance, the 2018 VIZIO P65-F1 P-Series 4K Ultra HD TV features support for Dolby Vision and HDR10, P3 wide color gamut coverage, Full Array Local Dimming, and SmartCast streaming capabilities. And though picture quality and lifestyle features aren't quite up to par with more expensive high-end sets, the TV's overall value is very hard to beat. There are some drawbacks here and there, but for those who want a full 4K HDR home theater experience without breaking the bank, the P65-F1 is definitely Recommended. Order HERE from Best Buy! As a general rule, high-end TV features typically come with an equally high-end price point. 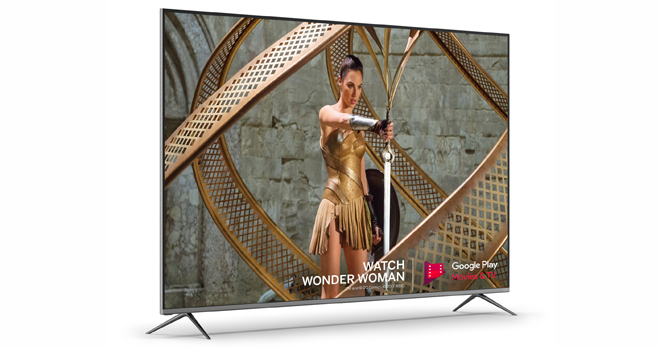 While flagship displays from manufacturers like Sony, Samsung, and LG offer industry-leading picture and design flourishes, buyers will be hard-pressed to find premium 65-inch models for under $3,000 or mid-range sets for anything below $2,000. But what about customers who are looking for something a bit more affordable without sacrificing quality? Enter the VIZIO P65-F1 P-Series 4K HDR TV. Striking an incredible balance between price and performance, the TV is easily one of the best sub-$1,500 displays on the market. The 2018 P65-F1 4K HDR Ultra HD TV is currently available in 55-inch, 65-inch, and 75-inch screen sizes. The 65-inch model received for this review uses a VA LCD LED panel with a 16:9 aspect ratio, an Ultra HD resolution of 3840x2160, and a 120Hz native refresh rate. In addition, the panel features full array local dimming with 100 zones. Dolby Vision, HDR10, and HLG high dynamic range playback capabilities are included as well, along with DCI-P3 wide color gamut coverage. Visually, the display features an attractive industrial design with thin black borders around the top, left, and right of the frame, along with a thicker silver aluminum bezel on the bottom. The back panel has a black textured plastic construction, and the unit's profile measures about 2.5" at its thickest point. Silver metal left and right feet stands are included as well. With the feet attached, the TV measures 57.01" x 35.14" x 11.81", and weighs 55.12 Lbs. Three HDMI 2.0 inputs (including one ARC), optical and analog audio outs, a cable/antenna input, and an Ethernet port are all located on the back toward the bottom right. In addition, a USB 2.0 port, Component/Composite inputs, and two more HDMI inputs are located on the right side of the panel. Meanwhile, the power connection is housed on the bottom left side. Under the hood, a V8 Octa-Core Processor running the SmartCast platform powers the displa. 802.11ac Dual Band Wi-Fi connectivity is included as well. 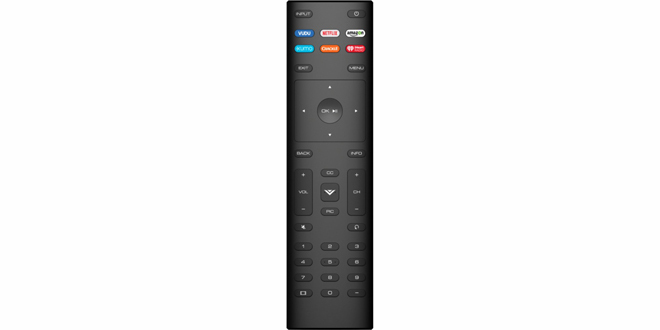 In addition, the package comes with a simple yet perfectly functional black click button remote, and users can opt to control the display via the SmartCast mobile app as well. Likewise, voice control for select commands can also be conducted via a separate Amazon Alexa or Google Assistant device. Finally, for those without a separate audio setup, the TV features integrated 10w x 2 speakers, offering perfectly serviceable yet predictably hollow performance. After unpacking the box, setup is pretty simple and similar to most other modern smart TVs -- though I do have to note that my initial review unit was unfortunately damaged in shipping and came with a cracked screen. Mishaps like this happen from time to time of course, and there's no reason to hold this against the TV itself. Thankfully, the second unit arrived just fine. Once you've got the feet attached, all your external devices connected, and the display booted up, the TV will prompt users to select a language, choose home or store use, and configure a Wi-Fi connection. After connecting to the internet, the display will download any applicable updates and then restart. Some more general configuration options (TV location, local channels) are then presented before asking users to accept VIZIO and Google's terms of service and privacy policies. Finally, customers are given the option to register an account with VIZIO and then… you’re all set to start watching! During my evaluation, I primarily hooked up a Pioneer VSX-933 AV Receiver to the display's HDMI ARC (audio return channel) input, allowing the receiver to pass-through full bandwidth 4K Ultra HD Dolby Vision/HDR10 content to the screen and the display to transmit audio from its apps to the receiver. 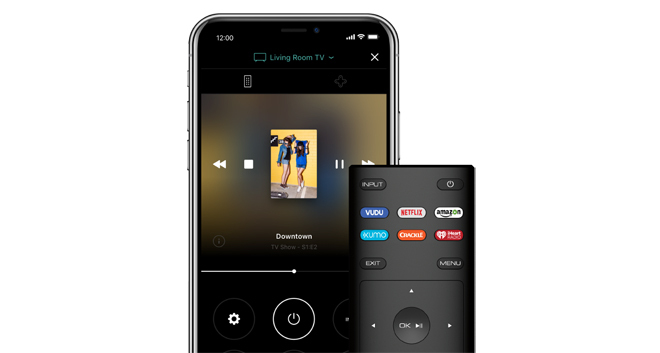 With ARC and CEC (consumer electronics control) enabled in the menu, the display automatically recognized that a receiver was connected and used that corresponding label for the HDMI input. Thanks to CEC, I could also use the TV's remote to adjust the receiver volume. Likewise, the display was capable of successfully sending Dolby Atmos audio from VUDU and Amazon Prime Video to the receiver. With that said, I did run into some intermittent sync issues through ARC from the TV's internal streaming apps to the VSX-933. This was particularly noticeable when watching certain YouTube clips, though Netflix, Amazon, and VUDU also had problems during rarer instances. Disabling the "Auto Delay" option in the receiver seemed to fix these sporadic issues, but that then caused sync issues with some discs on my Blu-ray player. Interestingly, the same receiver had no sync issues when connected to a Samsung Q9 TV. Meanwhile, the VIZIO TV also seemed to work just fine through ARC when connected to an Onkyo TX-NR555 receiver. Bottom line: it's not exactly clear which device was causing the problem, but users might experience ARC sync issues when using this display with a Pioneer receiver. Beyond audio, I also encountered an intermittent signal issue on the HDMI 1 input. When Full UHD Color (the mode needed to provide HDR support for many external devices) was activated for that port, the screen would sometimes flash repeatedly, disrupting playback from my LG UP970 4K Blu-ray player or my Roku 3. With that said, this didn't always occur, and there were times when both devices played just fine through HDMI 1 with Full UHD Color on. Likewise, HDR10 and Dolby Vision content also appeared to play correctly from my LG player even with Full UHD Color deactivated. Meanwhile, the other HDMI ports operated without any problems. Similar HDMI signal issues have been reported by other owners of the P65-F1 on Reddit (Link 1, Link 2) and in this Best Buy user review thread. Though VIZIO seemed to be unaware of the issue when I reported it to them, buyers should be able to swap out defective units for replacements if they encounter any problems like this. At the end of the day, the issue didn't actually negatively impact my experience, but it is something customers should know. Finally, when it comes to picture calibration, the P65-F1 offers a comprehensive assortment of adjustments and modes. In general, the Calibrated Dark mode with all unnecessary enhancement options deactivated and Local Dimming set to Medium will provide the most accurate out-of-box SDR and HDR playback suitable for most users. Of course, if one desires to perform a full white balance and greyscale calibration, the TV offers more than enough control to fine tune things even more. Like most VIZIO displays, the 2018 P65-F1 features Full Array Local Dimming. This technology uses LED light sources positioned in multiple dimmable zones across the TV's panel, allowing the screen to brighten or darken in selected spots to coincide with the content being played. As a result, the display is able to achieve deeper black levels and more precise HDR highlights compared to edge-lit models or LCDs without any dimming. The effectiveness of local dimming is based largely upon how many zones a manufacturer is able to implement in their panel (typically, the more the better) and the particular algorithm a company uses to tell those zones how to operate. The 65-inch P-Series model comes equipped with 100 zones (the 55-inch model features 56 and the 75-inch includes 120). In practice, the local dimming works very well, allowing the TV to offer deep and uniform black levels. With that said, letterbox bars don't quite disappear into a dark room the way they do on an OLED panel or Samsung's Q9 QLED TV. Likewise, black levels become a bit higher when the TV is displaying HDR10 or Dolby Vision content, losing some of the inkiness achieved with SDR playback. For general SDR and HDR content, VIZIO recommends keeping the local dimming setting on Medium. In my experience, this mode did indeed produce the best balance between peak brightness and blacks while keeping blooming and other local dimming artifacts to a minimum. Sure, some brightness fluctuations and pulsing are apparent at times, but on Medium VIZIO's algorithm actually does a really good job of reducing typical local dimming quirks. Likewise, though the more even-handed approach here can't get as dark as the Samsung Q9, shadow detail appeared to be better preserved on the VIZIO than on that set. Meanwhile, the High setting uses a more aggressive algorithm that is capable of achieving higher HDR contrast in some instances, typically when smaller specular highlights are present in darker scenes. With that said, this mode also has a habit of introducing more blooming and lighter blacks, which made it easier to see the zones at work during my testing. To demo the P65-F1's Dolby Vision and HDR10 picture performance I sampled a variety of 4K Ultra HD Blu-ray discs and streaming content from services like Netflix, Amazon Prime Video, and VUDU, including titles like Ready Player One, Ocean's 8, Game of Thrones, Logan, Blade Runner, Ex Machina, La La Land, Justice League, Jack Ryan, The Marvelous Mrs. Maisel, Forever, Maniac, Altered Carbon, Lost in Space, and more. Though not quite as blindingly bright as some of the industry's leading displays, the TV is technically capable of reaching the 1,000 nit peak that most HDR material is graded for. With that said, using the Calibrated Dark Mode, I got closer to a max of around 800 nits with the Medium local dimming setting and about 900 nits with the High local dimming setting. Meanwhile, DCI-P3 wide color gamut coverage is rated for about 90 – 94%, which is quite good for a model in this price range. Of course, specs are meaningless compared to real-world performance -- and thankfully, the P-Series did not disappoint. For the most part, 4K HDR content looked quite stunning, offering sharp clarity, bold colors, deep blacks, and bright contrast. The vivid Dolby Vision world of the OASIS in Ready Player One was a particularly great showcase for the TV's 4K Blu-ray performance, along with other colorful and visually impressive HDR10 discs like Blade Runner and La La Land -- providing sumptuous imagery while avoiding any kind of overly harsh or unnatural appearance. On the streaming front, Netflix's Altered Carbon just might be my new go-to demo series. The show's neon-lit future cityscape is brimming with sumptuous color and intricate detail, and the P65-F1 did a fantastic job of rendering every hue and tiny texture in specular highlights with precision. Lost in Space was also a great showcase for the TV, bringing pleasing intensity to the robot's glowing face and shimmering metallic body. Meanwhile, Amazon's Jack Ryan highlighted the TV's strong performance with more grounded material, using Dolby Vision to enhance key elements, like a series of explosions at the end of the first episode, the bold orange of a Fanta can, or the vivid red of a rescue helicopter. With all that said, I did encounter some issues here and there. Most notably, shadows veered toward an odd blue hue in a few scenes on a couple of Dolby Vision titles -- specifically Ocean's 8 on 4K Blu-ray and Jack Ryan on Prime Video. This blueish tinge was mostly (but not completely) absent when watching the same content in HDR10 on a Samsung KU6300 4K HDR TV. I'm not sure if this was just source related or somehow a quirk of the display, but I didn't encounter the issue with any other titles. And while most HDR content looked great during my time with the TV, the set's contrast, brightness, and color abilities can't quite compete with more expensive models. The Samsung Q9 which I reviewed a couple of months ago, for instance, is capable of more intense highlights, blacks, and color volume. Likewise, I recently participated in the judging for the Value Electronics TV Shootout, and there is a clear step-up in performance with all of the flagship models that competed there. Of course, those TVs are all over double the price of the P65-F1 and, honestly, the increase in performance they offer likely won't justify that kind of increase in cost for most budget-conscious buyers. Outside of 4K HDR content, I also sampled several SDR Blu-rays and streaming shows, including titles like Wall-E, Hereditary, The Nightmare Before Christmas, Star Trek, Guardians of the Galaxy, Wonder Woman, Better Call Saul, The Good Place, Shameless, and more. As a whole, HD material looked fantastic. As I mentioned earlier, black level performance was actually a bit deeper when displaying SDR content, and this resulted in a slightly inkier appearance with less visible black bars. The spacewalk sequence in Wall-E, the Groot spore scene in Guardians of the Galaxy, the No Man's Land chapter in Wonder Woman, and various battles in Star Trek all offered a versatile showcase for the display's balanced contrast, good shadow detail, pleasing Rec. 709 color accuracy, and great 1080p scaling. When it comes to screen uniformity, the P65-F1 is solid but not perfect. 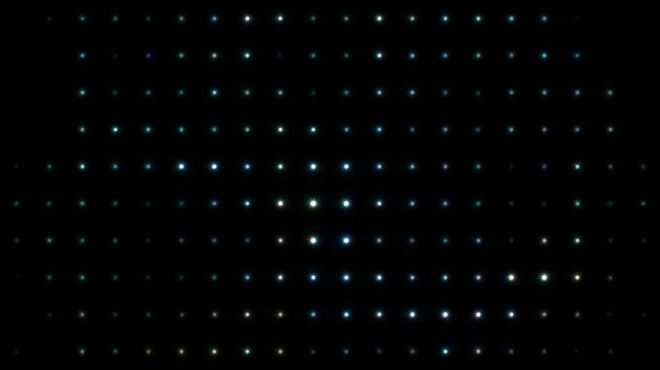 When viewing various full-screen grey and color patterns, some faint bands were visible along with other minor inconsistencies in brightness and a comparatively rosy tinge toward the left side of the panel. Likewise, the very edges of each corner appeared darker than the rest of the screen. A mild dirty screen effect was also visible during some content with bright backgrounds and lots of motion and panning (like hockey games), but for the most part, these irregularities were never much of a factor during real-world playback. Meanwhile, thanks to the set's local dimming, backlight uniformity was great and free from any major clouding when displaying an all-black screen. Unfortunately, viewing angles proved to be a bigger drawback for this model. Colors and contrast would take a hit when viewing from a seat just off to the side, and there were even a couple times when I noticed shifts in picture quality on the extreme left and right sections of the image when sitting directly in front of the TV. These instances were the exception rather than the rule, but for whatever reason, some HDR and SDR titles with comparatively neutral palettes and lower contrast tended to suffer more noticeably from the TV's limited viewing angles. 4K HDR streams of The Marvelous Mrs. Maisel and the first few episodes of Maniac, along with the SDR Blu-ray of Hereditary were particularly troublesome in this regard, causing colors and contrast to washout slightly toward the sides of the image even when I sat right in the center (about 7.5 feet from the screen). Thankfully, the vast majority of HDR and SDR material looked consistent from a direct viewing angle. Finally, the screen does a very nice job handling reflections, offering pretty solid viewing conditions even with a lot of light in the room. Reflections could be seen on the display in my living room with the curtains pulled back when darker images were on the TV, but by and large, most users should be pleased with the performance here. Powered by the SmartCast platform, VIZIO's smart TV interface continues to be bit of a mixed bag. The system offers on-screen access to select apps like Netflix, Amazon Prime Video, Hulu, VUDU, YouTube, YouTubeTV, FandangoNOW, Crackle, NBC, XUMO, iHeart Radio, and VIZIO's new WatchFree service powered by PlutoTV. For the majority of additional apps, however, users will need to cast supported services to the display from a separate mobile device or PC. In general, both options work pretty well… most of the time. Unfortunately, a few glitches and quirks cropped up during my testing. Most notably, the SmartCast app on my phone would occasionally stop recognizing the display, preventing me from casting content. Likewise, the cast icon would also occasionally disappear as an option from supported videos on my laptop as well. Both devices were always connected to the same Wi-Fi as the TV. Restarting the units would sometimes correct the problem, but not always -- and there didn't really seem to be any rhyme or reason behind when my phone or computer would recognize the TV and when they wouldn’t. Thankfully, playback itself was typically smooth and problem free, with support for 4K HDR10 and Dolby Vision (when available) from Netflix, Amazon Prime Video, VUDU, and YouTube. Meanwhile, FandangoNOW would play content in 4K but not HDR. On-screen navigation could be a bit sluggish, however, especially compared to some other smart TV platforms, but functionality was never seriously hindered. Beyond streaming, VIZIO has also added a voice control feature to its SmartCast OS this year via a separate Amazon Alexa or Google Assistant device. With that in mind, VIZIO was kind enough to include an Echo Dot with my review unit (not included with retail models). To pair the Echo Dot with the display, users will need to create a VIZIO account and download the Alexa app on a mobile device. After that, customers can download the SmartCast skill through the app and then follow the instructions to link the devices. Once this relatively simple setup is complete, voice control will be enabled for simple functions like powering the TV on/off, adjusting volume, play/pause, and switching inputs. With that said, more advanced commands -- like launching specific apps/programs or searching for streaming content -- are not supported through Alexa, though some of these functions can be done with Google Assistant. In practice, Alexa voice control worked quite well, adding hands-free convenience to power and volume commands. There were sporadic instances when Alexa would seemingly get confused and not follow a command, and one instance where the TV's link to the Echo Dot seemed to be reset entirely -- but overall I found this to be a worthwhile and reliable feature. Over the last few years, VIZIO has become synonymous with great bang-for-your buck performance, offering advanced picture quality features like Dolby Vision, WCG, and local dimming for a fraction of their competitors' prices. The 2018 65-inch P-Series follows in this tradition, providing very impressive picture quality for less than $1,500. With that said, I ran into some sporadic SmartCast quirks and signal glitches, and viewing angles leave a bit to be desired. 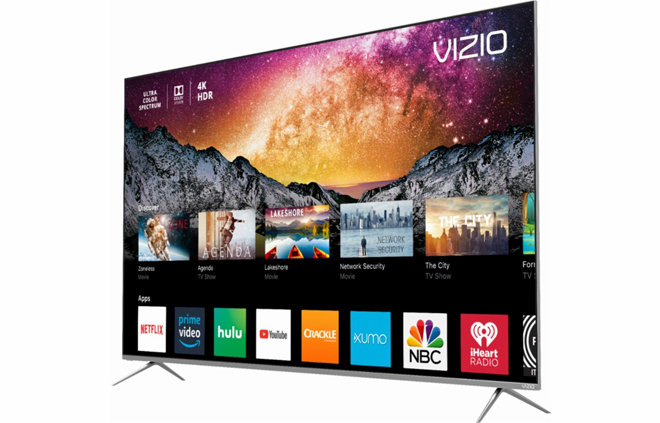 Likewise, brightness, contrast, and color performance can't quite reach the same level as top-tier sets from other manufacturers -- though VIZIO has a new premium P-Series Quantum model (full review coming soon) designed to compete with those flagship TVs. When it comes to 65-inch 4K HDR models in this price range, however, the P65-F1 is almost in a class all its own. I say almost, because this year VIZIO actually has some tough competition from TCL with their very similar 6-Series Roku TV. The VIZIO has an edge with its 120Hz panel versus the TCL's 60Hz, but the 6-Series is a bit less expensive. But even with other viable options in this price range, there is no denying the great performance to cost ratio here for a current sale price of $1,200. For users who want a full 4K HDR experience without breaking the bank, the VIZIO P65-F1 P-Series Ultra HD TV is definitely Recommended.